Today i was reading interesting post by Zone-h.org Which says 1.5 million websites were defaced and reported on Zong-h. Most of the attacks were SQL Injections, LFI, RFI, Web Dav and misconfiguration of the web server or application itself. The report further says, large number of attacks happened on Linux Operating System. We talk too much about Linux kernel but the first thing is code which need to be written in efficient way. MySQL.com was compromised via amazing blind SQL injection. You can see the database, tables & users informations on full disclosure website. The worse is they posted passwords dump and hundreds of people have already cracked it. We recommend you to change your password on urgent basis as it is the normal bad practice people use same password for all online portals e.g web mail, paypal and so on. Nmap is open source security scanner used for network exploration. We have been using it widely on Linux and windows operating system. 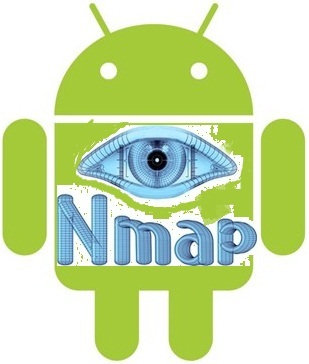 And now we have finally got Nmap for android. This is really great to see. Network Miner is for those who are not much familiar with using WireShark. Network Miner made easy to sniff packets from the network and categories and sort it in different tabs so you can interesting sniffed stuff. You can also analyze pcap files which are dumped using WireShark. Fully GUI application run on Windows platform. All sort of cookies can be sniffed with one click. 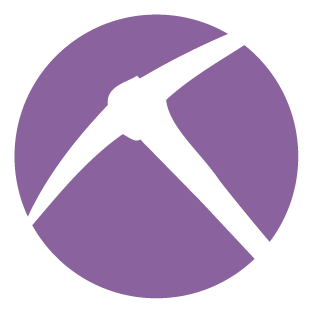 Network miner has recently launched payware Professional version which provide some extra features e.g reporting, geo localization, command line script support. Although the free version is so powerful, you will love it. We have been using it for long time. Latest version is announced today. All web application security scanners report false-positives, which means they report vulnerabilities that don’t exist. Netsparker will try lots of different things to confirm identified issues. If it can’t confirm it and if it requires manual inspection, it’ll inform you about a potential issue generally prefixed as [Possible], but if it’s confirmed, that’s it. It’s a vulnerability. You can trust it. Netsparker confirms vulnerabilities by exploiting them in a safe manner. If a vulnerability is successfully exploited it can’t be a false-positive. Exploitation is carried out in a non-destructive way. When Netsparker identifies an SQL Injection, it can identify how to exploit it automatically and extract the version information from the application. When the version is successfully extracted Netsparker will report the issue as confirmed so that you can make sure that the issue is not a false-positive. List of issues Netsparker is looking for. Netsparker identifies if ASP.NET Debugging is enabled. Netsparker detects if ASP.NET Tracing is enabled and accessible. It is a technique of modification in computer software and hardware to achieve the concerning goal outside of the creator’s original purpose. In common usage, a hacker is a person who breaks into computers, usually by gaining access to administrative controls. The subculture that has evolved around hackers is often referred to as the computer underground. Unauthorized attempts to bypass the security mechanisms of an information system or network. Hacking or getting unauthorized access to a system is not a hot cake. A good hacker must be an outstanding programmer and he must be aware with the systematic working of computing. Or a good scripts kidy can be a good hacker if and until he knows the process of penetrating into a system. Social engineering is the act of manipulating people into performing actions or divulging confidential information, rather than by breaking in or using technical cracking techniques. While similar to a confidence trick or simple fraud, the term typically applies to trickery or deception for the purpose of information gathering, fraud, or computer system access; in most cases the attacker never comes face-to-face with the victim. 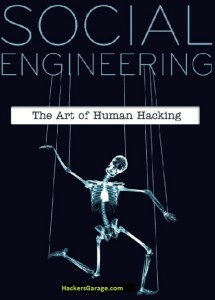 “Social engineering” as an act of psychological manipulation was popularized by hacker-turned-consultant Kevin Mitnick. The term had previously been associated with the social sciences, but its usage has caught on among computer professionals. Social Engineering is God gifted skill. For this you don’t need to be expertise in computing or in hacking. Recommended book from BackTrack Community. Following is the title image taken from book title page. 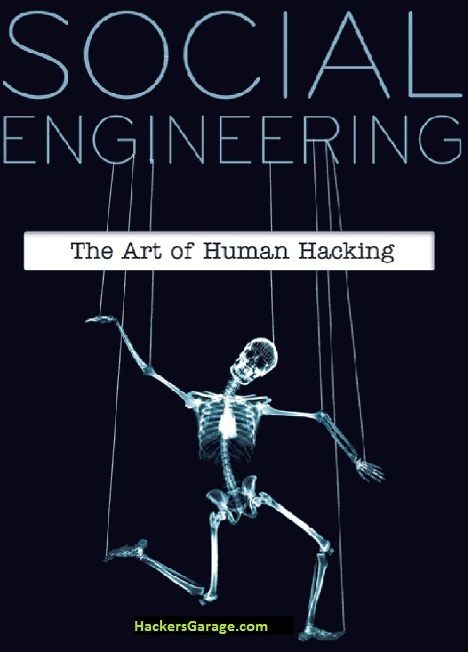 Social Engineering - The art of human hacking. I set at an empty table wearing a business suite. I placed my briefcase on the table and waited for a suitable victim. In a few moments, just such a victim arrived with a friend and sat at the table next to mine, placing her bag on the seat beside her. As was probably her habit, she pulled the seat close and kept her hand on the bag at all times. I needed to steal the entire bag, but, with her hand resting on it and her friend sitting opposite, she was beginning to look like bad news. But, after a few minutes, her friend left to find a restroom. The mark was alone so i gave Alex and Jess the signal. Playing the part of a couple, Alex and Jess asked the mark if she would take a picture of them both. She was happy to do so. She removed her hand from her bag to take the camera and snap a picture of the “Happy couple” and, while distracted, i casually reached over, took her bag, and calmly locked it inside my briefcase. My victim was yet to notice the empty chair as Alex and Jess left the cafe. Once out of sight, Alex headed quickly for the parking garage. It didn’t take long for her to realize her bag was gone. Instantly, she began to panic. She tood up and looked around, frantically. This was exactly what we were hoping for so, i asked her if she needed help. Alex, and handed my phone to her. She was hooked and it was now up to Alex to reel her in. Alex was downstairs in the van. On the dashboard, a CD player was playing office noises we had downloaded from the Internet. He kept the mark calm, strung her along, and then assured her that her card could easily be canceled but, to verify her identity, she needed to enter her PIN on the keypad of the phone she was using. My phone and my keypad. You can guess the rest. Once we had her PIN, i left her with her friend and headed for the door. If we were real thiieves, we would have had access to her account via ATM withdrawals and chip and PIN purchases.